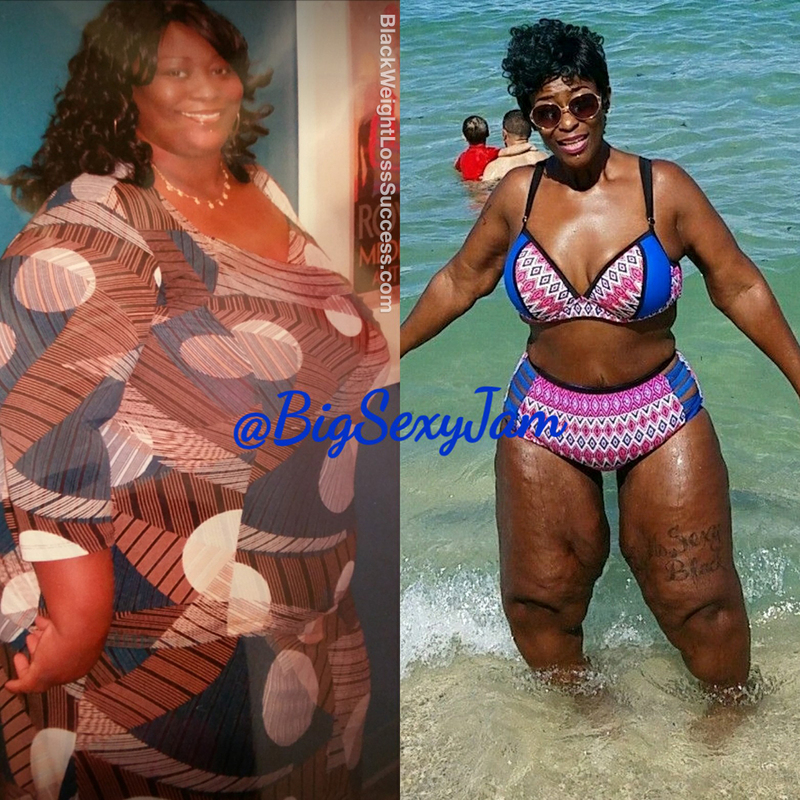 Transformation of the Day: Jam lost 191 pounds. During an emergency room visit she found out that she weighed over 400 pounds. Focused on improving her health, she decided to have the Gastric Sleeve procedure and change her lifestyle. Check out her journey. My weight loss journey began in 2009. That was the year I found out I weighed 413 pounds at 5’5″. Back then, I never knew how much I weighed because my doctor’s scale only went up to 350 pounds. It took a trip to the emergency room for me to get weighed and learn that I was at the highest weight of my life. A few months later, I made the decision to have ​Gastric Sleeve weight loss surgery (VSG). This is best decision I’ve made to improve my life. I’m not skinny, but I’m happy. I’ve had my struggles and setbacks, but I have learned to keep pushing and making better choices. I focused on becoming healthier during any tough times. Now that I see my results, I let that drive me forward. Eating Habits: The number one thing for me is portion sizes, and it still is to this today. I eat small portions, which is part of the lifestyle changes that come with having VSG surgery.​ I stopped drinking sodas and started making wiser food choices. I’m not on a specific diet plan, but I do eat a sensible, small breakfast or drink protein shakes in the mornings. I would consider my diet a high protein diet. Workout Routine: ​I started off slow by walking for exercise. Then, I got involved with Aqua Zumba. Now, I go to an outdoor fitness bootcamp. I work out 4 days a week and was member of the month for June at the place where I work out. I also post videos of my workouts online. Having weight loss surgery was a big decision to make. 7 years later, I’m very thankful for the decision I made. My current weight is 222 pounds. I’m now a more healthy and positive person who enjoys living life. The best tip that I can offer anyone: Find someone who is going to support you on your journey to becoming a better healthier. Also, don’t allow anyone to put any doubts in you mind or tell you that you’re not doing what’s best for you. If you are making the right decision for yourself, the right people will be your motivators and cheerleaders!